The Kennett Consolidated School District is proud to announce that U.S. News & World Report has named Kennett High School one of America’s Best High Schools. To produce the 2017 Best High Schools rankings, U.S. News & World Report teamed up with North Carolina–based RTI International, a global nonprofit social-science research firm. The comprehensive rankings methodology is based on the key principles that a great high school must serve all of its students well, not just those who are college bound, and that it must be able to produce measurable academic outcomes to show it is successfully educating its student body across a range of performance indicators. 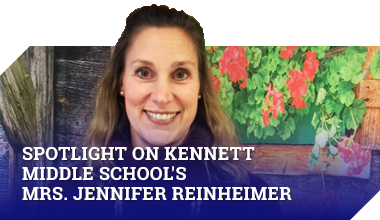 For more information on the U.S. News & World Report’s ranking processes and details on Kennett High School’s rankings, please visit click here.